This image, photographed by Lisa McCraw, owner of LMAC Photography was from a wedding where one of the images was finalist in the international Shoot and Share Photography Contest in 2017. The award winning image landed in the top 100 out of 400,000 photo submissions, a huge accomplishment. 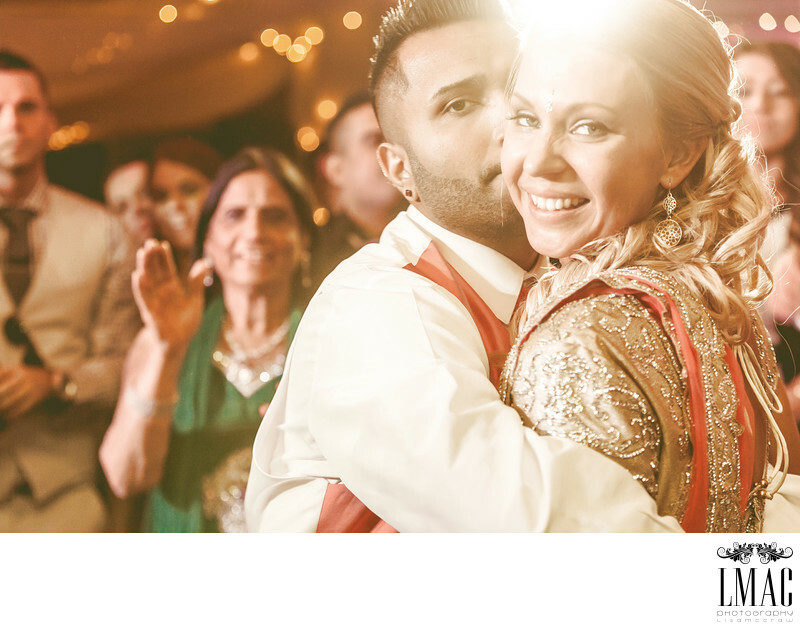 This was the wedding of Anil and Becky, who had a blended Indian wedding. This was a gorgeous wedding full of color and tradition. It was held at the eclectic 78th St. Studios in Cleveland, Ohio. All events were held there including the wedding ceremony and reception. This is a very art inspired venue, perfect for weddings. It was a terrific celebration of culture and love. The bride and groom were simply a gorgeous couple to photograph and it's not surprising that their beautiful selves would do so well in a wedding photo contest. Location: 1300 W 78th St, Cleveland, OH 44102.